You Know the Rules brings you one hour of indie hip hop. A mix of new and old Canadian, Prarie, West Coast, Mid West, American and European hip hop. Your host Chaps is passionate about music, specifically rap music and hip hop culture. 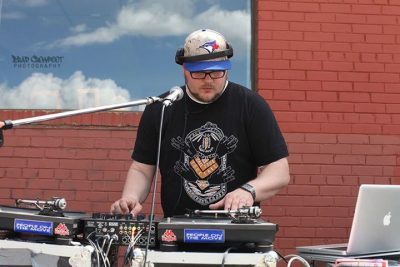 He has been a hip hop dj since 1995 and hosted a hip hop radio program called "Third Verse" on CFCR 90.5 FM in Saskatoon Saskatchewan since 1996. He was a a cofounder and dj for of Side Road Records which has released over 30 albums. Chaps has performed at 100's of shows locally in addition touring and playing 100's of shows in cities across Canada, the United States and Europe. In addition to performing he has promoted over 100 shows and is a cofounder and organizer of Summer Fling. Summer Fling is an annual graffiti and hip hop festival in Saskatoon that features, local, Canadian and international artists, Mc's and Dj's. Chaps is currently the dj in Parab Poet and The Hip Hop Hippies.